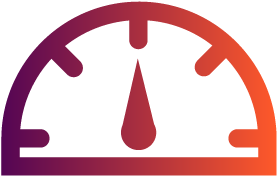 We recently conducted a line speed test on your new MyRepublic nbn™ connection to ensure that you are on the correct plan based on your connections nbn™ speed capabilities. Due to you being connected to the nbn™ via FTTN/B technology the results of your line speed indicate that your maximum download speed is less than 60 Mbps down. ^nbn™ 50 refers to nominal access line speed, your speeds will vary based on the technology connecting your location to the nbn™ and other factors. The successful submission of this form may take up to one minute. What is the Gamer Pro Premium plan? The Essential Plan uses the nbn™ 50. Speeds are variable. The Premium Plan uses the nbn™ 100. Speeds are variable. The Essential Plan (uses nbn™ 50) provides maximum speeds of up to 50 Mbps download and 20 Mbps upload. *Based on Steam average download rates, correct as at 11th July 2018.